While wills and deeds are completely different documents -- a will disposes of one's estate upon death and a deed passes an interest in land or other real property -- both of them have the effect of transferring ownership of property, and both can be used in disposing of such property in the context of estate planning. Deciding how to pass ownership of property to one's heirs -- whether to leave it in a will or convey it now via a deed -- requires a consideration of the advantages and drawbacks of each. Once a deed is executed by the grantor and accepted by the grantee, the grantor no longer owns it. This transaction creates a degree of inflexibility in estate planning, as it limits the ability of the grantor to control what happens with the land as time goes on. A will, however, is subject to revision and change at the whim of the testator all the way until he becomes incompetent or dies. As such, if he develops second thoughts about who should get a particular piece of property, the will leaves him free to change his mind. If he has already conveyed the property via a deed, he is dependent upon the grantee to honor his wishes and convey it back. Conveying property to another by means of a deed completely transfers ownership of the property to that other person. While you may have complete trust in your son, daughter or grandchild to allow you to keep living in the family home after you deed it over to them, you need to consider what would happen to the property if the grantee were to predecease you. The land could end up in the hands of the grantee's creditors or heirs with whom you do not get along. Making arrangements for the land in your will preserves your control over the property for as long as you need it. While deeding property to another places it within the reach of that person's creditors, not deeding it to them leaves it within the reach of yours. Advancing age and complex health problems bring on the possibility of crippling medical bills and the lawsuits that can arise when one does not pay them. By deeding property to a loved one as part of an orderly estate plan, one can reduce the possibility of the land being seized and sold by judgment creditors due to unpaid medical bills. Keep in mind, however, that laws enacted by every state regarding fraudulent transfers can restrict your ability to do transfer property in anticipation of litigation. 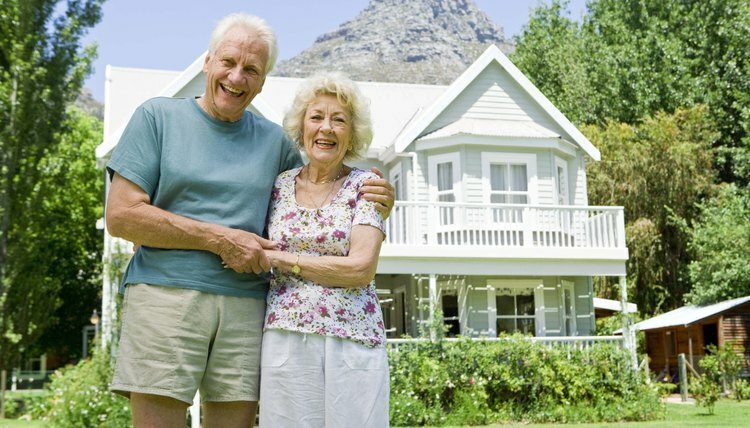 Perhaps the most compelling reason to convey property now by deed rather than later by will concerns eligibility requirements for long-term care. Currently, the federal government's Medicare program pays only for short-term care, and Medicaid exists only for those who own less than $4,000 in assets. Making gifts to family members and charities is one way to preserve one's eligibility for government assistance while making sure hard-earned assets aren't sold to pay for long-term care. Transferring a trust to an individual can mean one of two things. To execute a trust, its property must be transferred to the trustee. The other possibility is that the trust property can be transferred to a beneficiary after the trust is created. Trusts are subject to state law, so you want to check the law of the state where the trust is located to ensure that you are following the right procedure.